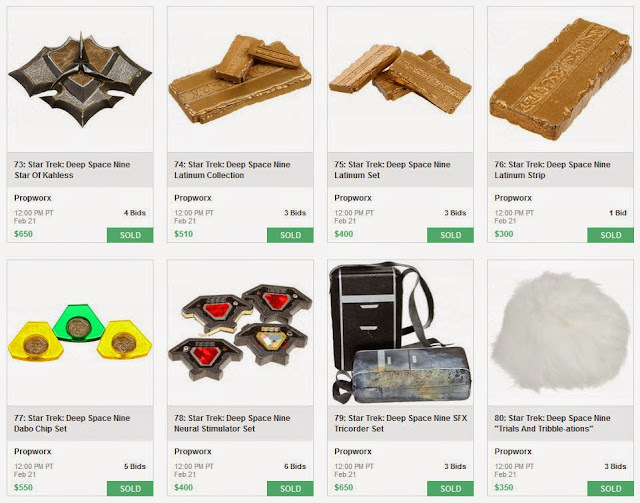 There's a new player in town! 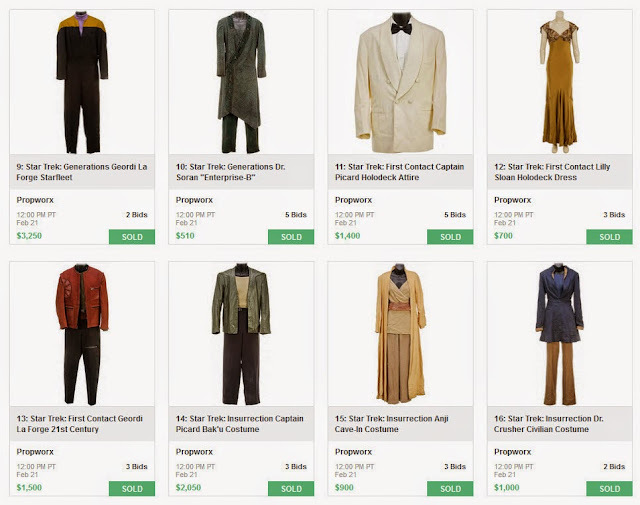 Most of the props, sets, costumes and models for this landmark 1968 film were purposely destroyed by director Stanley Kubrick in order to keep them from being used in other movies. This one was one of the few items that survived and was originally owned in the 70's by a public school art teacher who was given the lunar model with the agreement the electronics from the shuttle be removed to teach this technology to his students. 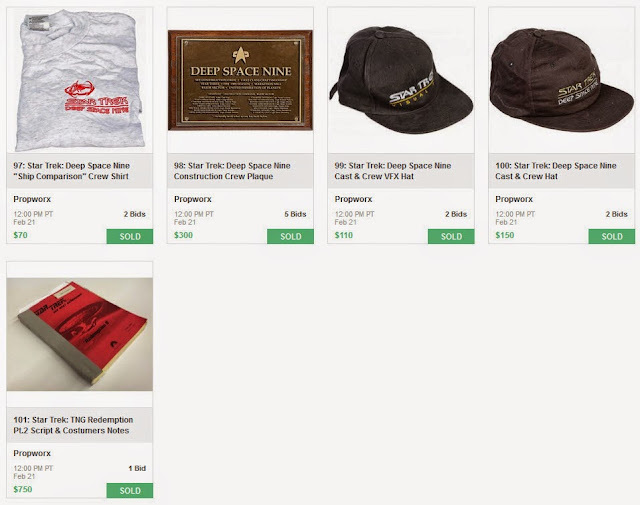 The shuttle model came with a detailed Letter of Provenience from the English collector, a local school teacher from Kubrick's long-time residence of Hertfordshire, England, who originally obtained it in 1975 and stored the Space Shuttle for over 40 years at his personal studio. 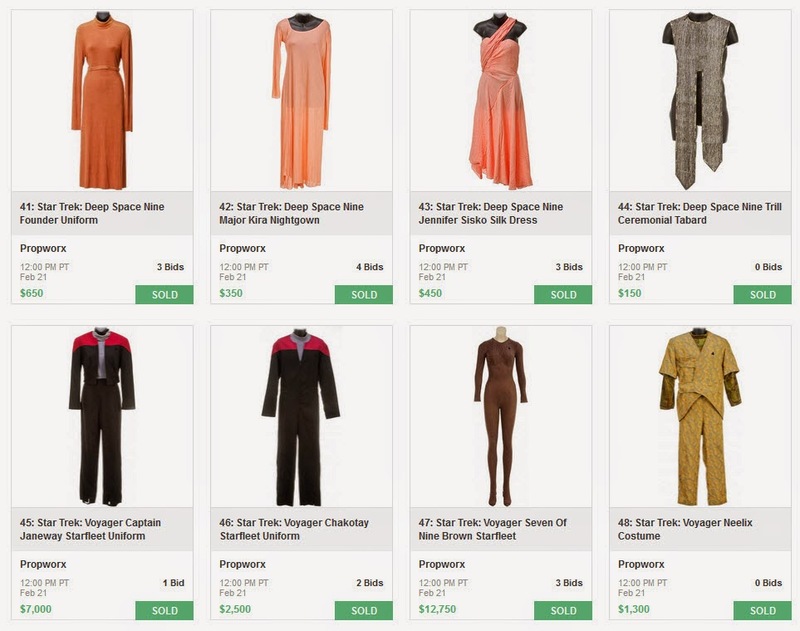 This means that the Academy Museum could be a potential buyer in any future auction for iconic pieces. 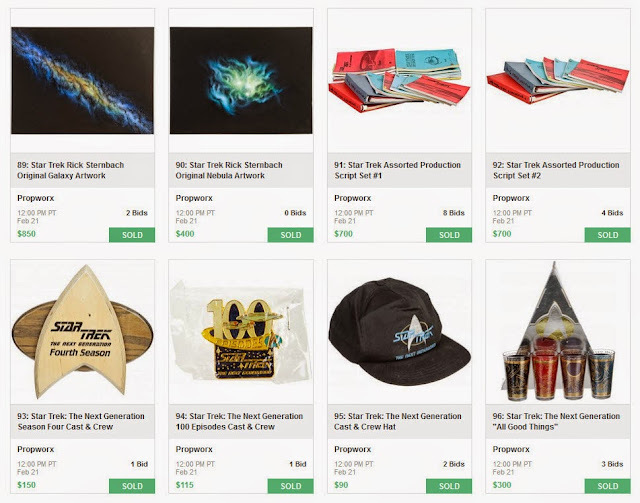 Propworx is back in a major way with three 2015 Star Trek auctions this year. Some have called this the best Star Trek auction since Christie's. 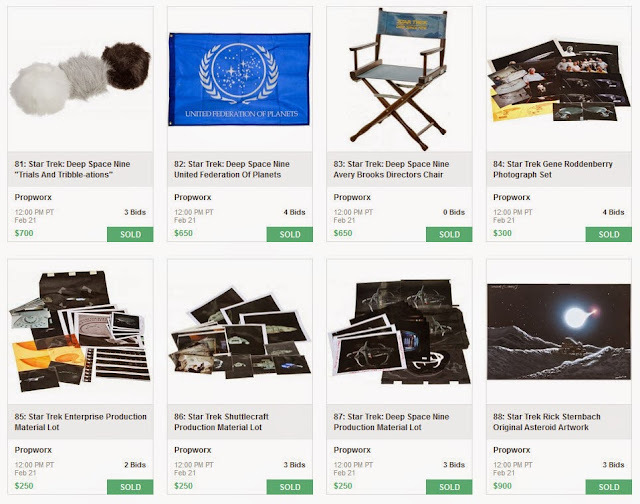 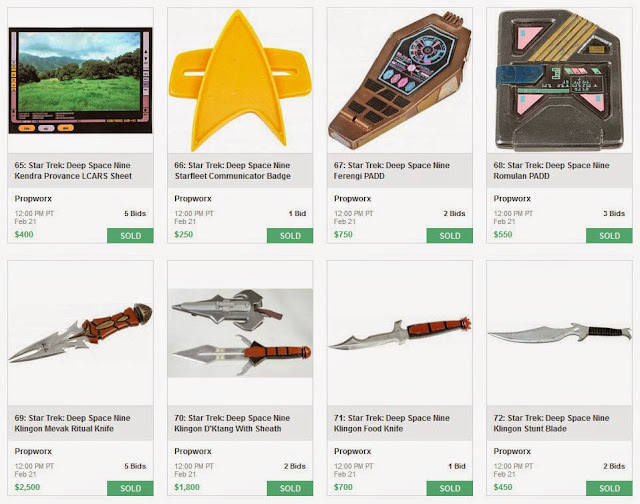 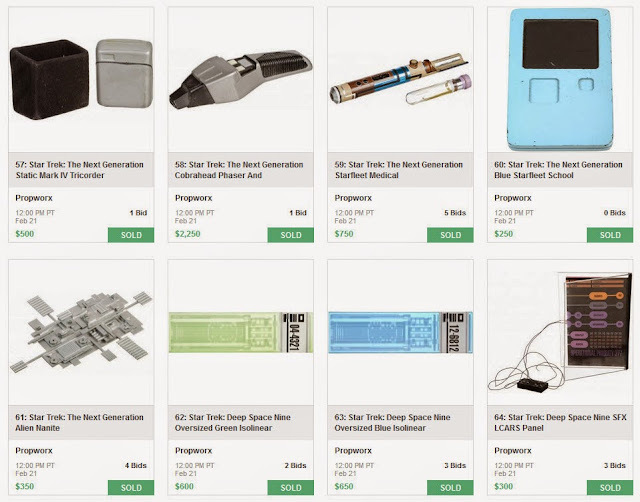 It certainly is the best Star Trek auction since propworx's first Star Trek auction in 2010. 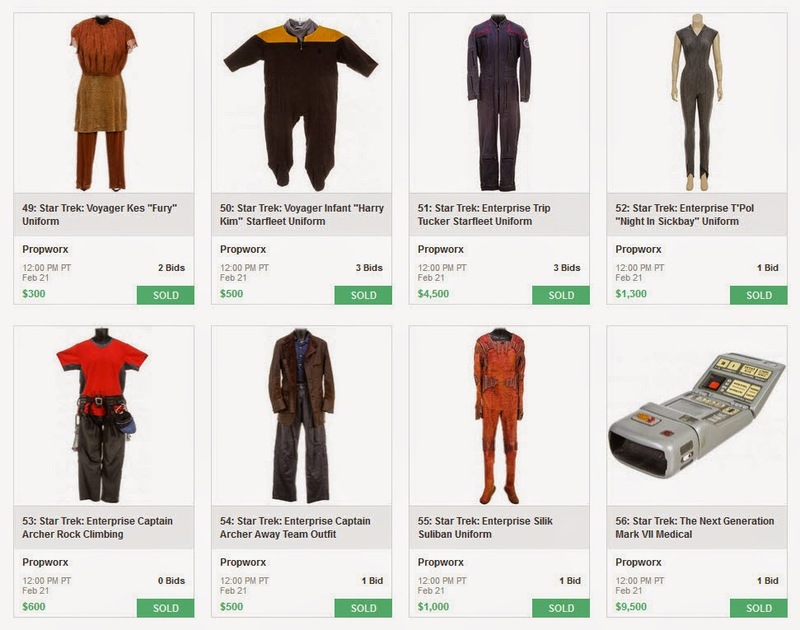 This auction has 101 lots of props, costumes and models! There were truly amazing pieces including a TOS Phaser, the Saratoga Escape Pod model from DS9's "Emissary". 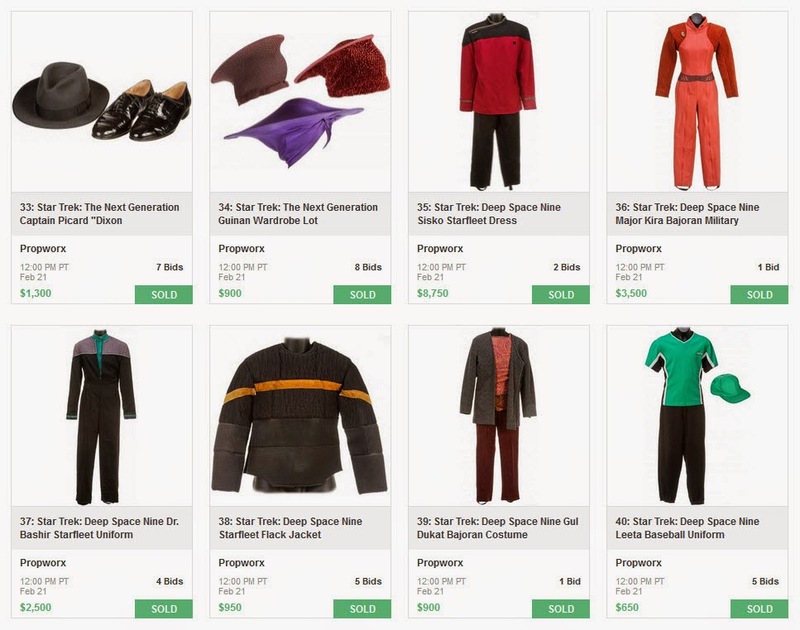 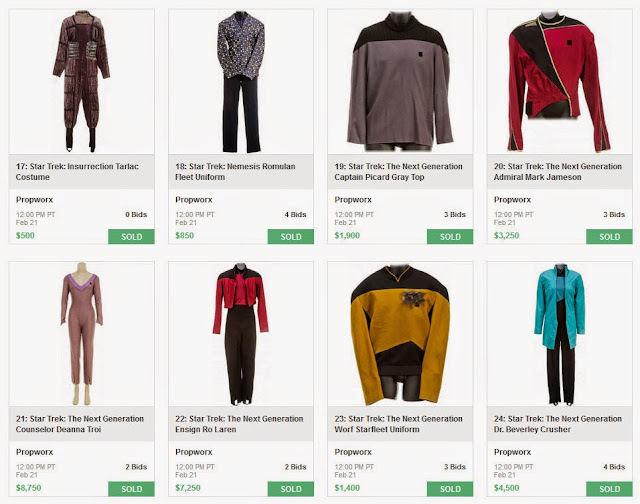 The highest prices were realized for: Star Trek: Voyager Seven of Nine brown catsuit, $12,750; Star Trek: TNG Medical Tricorder, $9,500; and a Star Trek: TNG Counselor Deanna Troi outfit, $8,750. 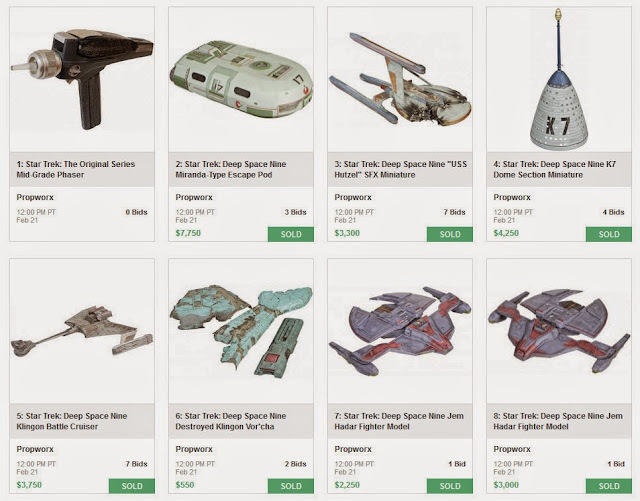 The final hammer prices for the auction are listed below. They do not include an 18% buyers premium. 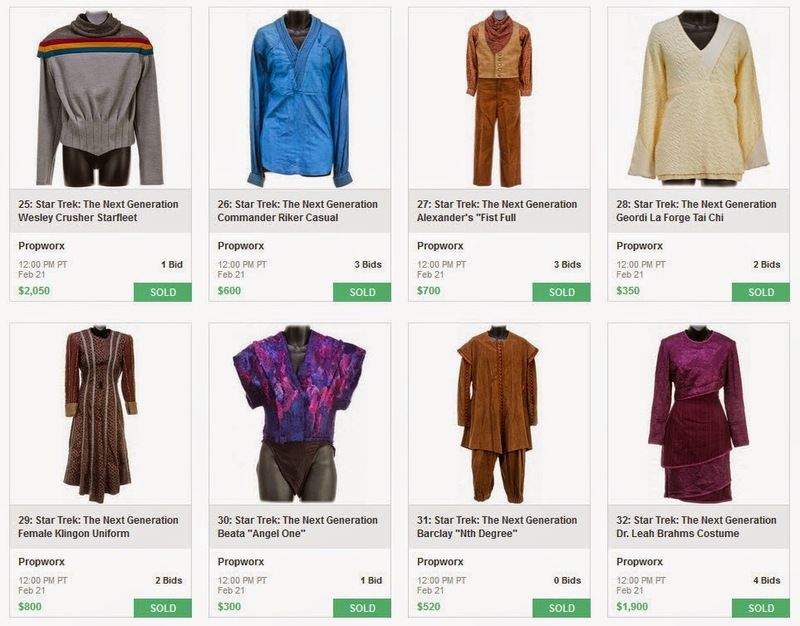 Thanks to Gerald Gurian for handling the images.